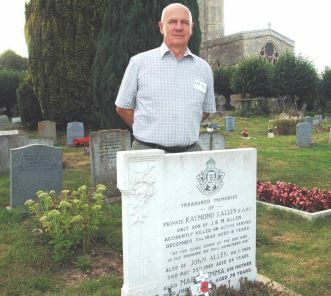 Raymond John Allen was born on 21st May 1922 the only son of John Allen and Mabel Emma Allen (nee Wetherall), of 24 Chinnor Road, Thame. He was baptised in St Mary’s church Thame on 9th July 1922. His father John was a postman, and by 1939 they had moved to 44 Chinnor Road. 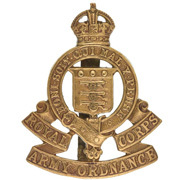 Raymond joined the Army at the start of WW2 as a Private in the Royal Army Ordnance Corps, and served with the 2 AA Div Workshop in Leicester. He was involved in an accident in which the driver of a lorry swerved to avoid a collision, and Raymond and two others were thrown out. Raymond received injuries to his head from which he passed away on Saturday 7th December 1940, aged just 18 years. He is remembered in Thame on the war memorial in Thame and on St Mary’s Church memorial board.